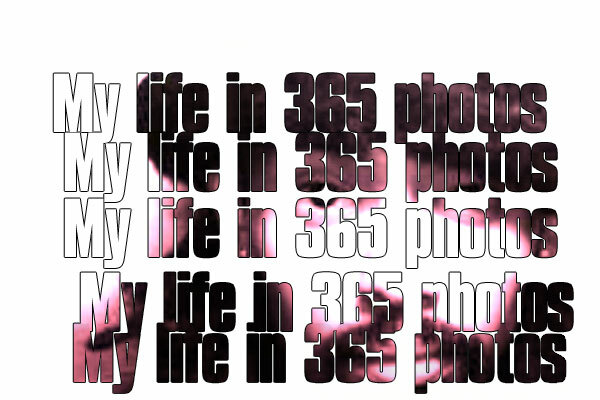 Directly inspired by Ev’Yan and her “my life in 365 days” post, i’ve decided i want to try taking a photo … every day … for a year. It’s tempting to think it’s easy, but as a person who’s attempted (and “completed”) several poetry 30-in-30s (at least one poem every day for 30 consecutive days), i know better. The fuel to do so and excitement is there for the first couple days. But then life happens. A procrastinated assignment here; a sick dog there. Next thing you know, you’re behind by three days, forced to cheat by writing seven poems in a few hours, hoping no one notices. But, someone will; and that someone is yourself, the most important person at that. Anyway, I am interested in doing this mainly because i love snapping photos and it reminds me of Andy Warhol. About three years ago, after reading Warhol’s Diaries, a massive tome chronicling the seminal author’s quasi-daily activities, including photos, food receipts and other ephemera, i was inspired to chronicle as much of the tidbits, important and mundane, of my life. I succeeded for maybe six months, but eventually ran out of steam. I still keep it up to this day, though entries over the past year have been for maybe two or three consecutive days, but then nothing for five or so months. My dedication and remembering to do so has been paltry at best. I think this 365 photo project plus little blurb (but knowing me, it’ll be some a long-winded memo) will give me a refreshed spirit and resolve to chronicle my life. And, I think i might have a strategy for this test of habit endurance and dedication: create a daily calendar event in my phone. Now, to figure out what time of day would work best. I’m not a morning person, so right when i wake up won’t work. Maybe lunchtime. Yeah, that sounds like a good time.